Domingos Soares Franco is the youngest brother in the sixth generation of the family that has run José Maria da Fonseca since its foundation in 1834. 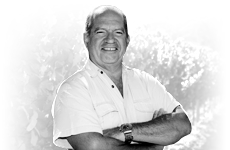 As both Vice- President and senior winemaker of the company, Domingos has become a prominent figure in the field of Portuguese winegrowing. In 1998, Domingos Soares Franco at José Maria da Fonseca decided to run several trials over a five-year period. He halted fermentation with 4 types of brandies: one neutral, one that came from Cognac region, one from the Armagnac region and a fourth that was 50% Cognac and 50% Armagnac. After 13 years Domingos Soares Franco decided to share the limited edition of Setubal Moscatel with Cognac. Fermentation halted by adding brandy. In this case the brandy came from Cognac region. There was skin contact of 3 months. As an aperitif serve at 10ºC or as a dessert wine serve at 16ºC.